The N.C. Budget and Tax Center will host its latest “Economy for All” event next Wednesday, February 20 in Durham. 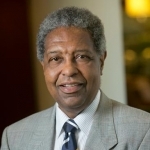 The event will feature Professor Sandy Darity, who is a professor of Economics, Public Policy, and African and African American Studies at Duke University. He will discuss the state of North Carolina’s racial wealth gap and what we can do to foster equity. “Each year the Budget & Tax Center, a project of the North Carolina Justice Center, hosts a talk on economic issues in our state. Under the banner of Economy for All, this event seeks to shape current debate about the role of public policy in advancing more equitable economic outcomes and informing the general public about the issues that we must address to fully realize our potential for greater well-being. Click here to check out the event Facebook page and RSVP.